Motorcycle riders know they rarely get the benefit of the doubt. If there is an accident involving a bike, there are people who will say it was the rider’s fault, regardless of evidence proving otherwise. To protect your rights to financial compensation and your reputation, you need an aggressive personal injury attorney serving Jenkintown, Bensalem, Cherry Hill & the Greater Philadelphia area. If you were injured in a motorcycle accident anywhere in the greater Philadelphia area, you need Randy H. Kaplan Law Offices. Contact us to schedule a free initial consultation. Whether your injuries are temporary or permanent, you will need time to recover and heal. You will also need funds to repair your motorcycle and to pay for your medical and rehabilitation. 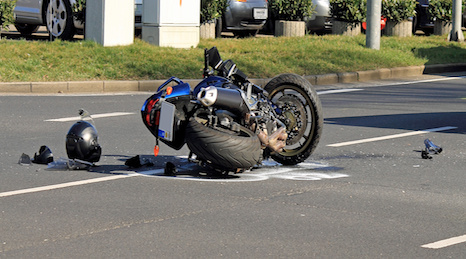 To fight for the maximum compensation you are due, it is important to secure the counsel of an attorney with experience representing motorcycle crash victims. At Randy H. Kaplan Law Offices, we have more than 30 years of experience representing motorcycle accident victims throughout Pennsylvania and New Jersey. If you have suffered a serious personal injury from a motorcycle crash, you need to act quickly to protect your interests. Call us to learn about your rights and options. As your legal representative, our firm will work with field experts to gather evidence and build a solid case for you. We will aggressively negotiate for maximum financial damages and will take the case to trial if necessary.